All bedroom storage pieces with the exception of media chests have soft felt lining the bottom of the top drawer or top two drawers. This helps keep jewelry in place and keeps fine jewelry from getting tarnished. It also helps protect the bottom of the drawer from getting scratched up by metal jewelry. 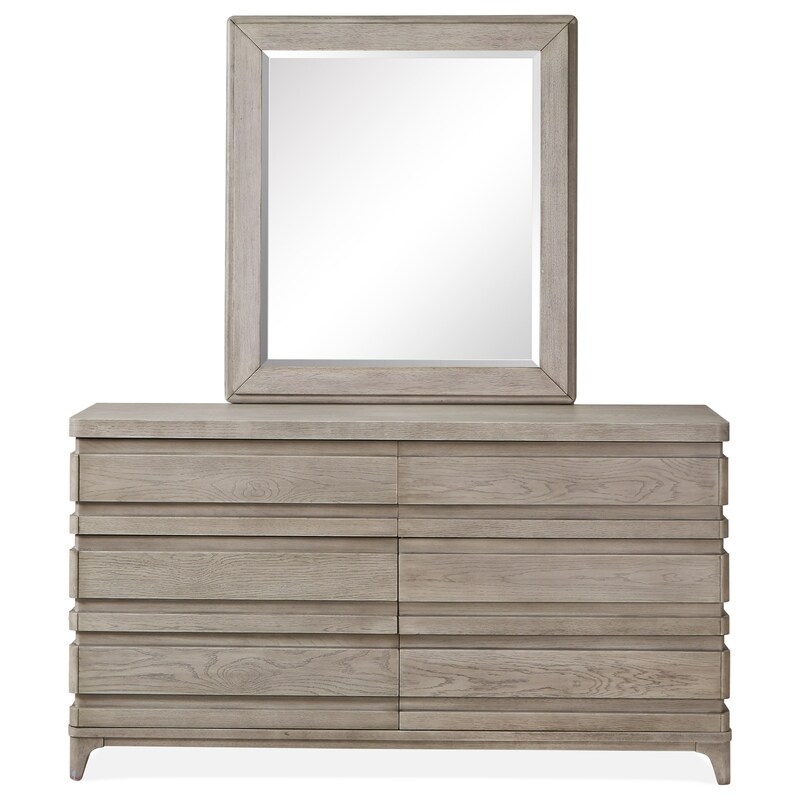 Welcome a modern look to your bedroom, without losing the cozy casual feel that makes you feel at home with this dresser and mirror set. Featuring six drawers and felt lining on the top two, this dresser also provides you with ample space to keep your room clutter free. The Pacifica Double Drawer Dresser and Mirror Set by Magnussen Home at Reeds Furniture in the Los Angeles, Thousand Oaks, Simi Valley, Agoura Hills, Woodland Hills, California area. Product availability may vary. Contact us for the most current availability on this product. Case Construction Thick pine veneer and pine solids in Barnacle finish. Knotty White Oak veneers and hardwood solids in Aged Sea Salt finish.